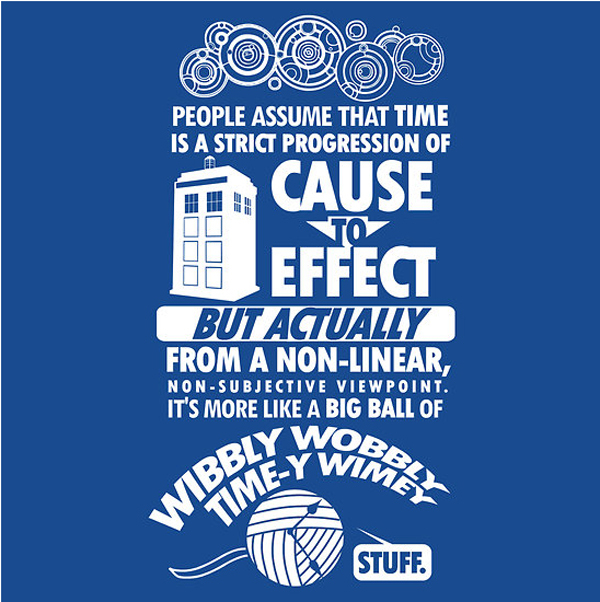 One of my all time favorite Doctor Who episodes is ‘Blink’ and part of the reason for that is the Doctor’s explanation of how time works. Well, RedBubble seller Tom Trager decided to take that explanation that so many sci-fi fans love and turn it into an awesome t-shirt! You can purchase the awesome shirt pictured below for $23.52 and since it is sold by redbubble, you get to choose the color of shirt you get (the reason why I love them).